They first met in high school, where I think it's safe to say they definitely noticed one another. It wasn't until their college days that a spark truly ignited, but once it did...it didn't let up. Emily & Jon had been together for a few years when January of 2016 rolled around. That was going to be a special month...Emily just didn't realize it yet. What Emily didn't know quite yet was that Jon had been doing some shopping...and he had picked out the most gorgeous ring, all for her. They had a typical date night, at McCormick & Schmick's on the Country Club Plaza in Kansas City, and though afterwards it was freezing outside, and Emily just wanted to go home, Jon insisted they walk around for just a little bit. Just a little bit he said, that was all he needed. Unbeknownst to Emily, Jon handed off his phone to a complete stranger - I LOVE when strangers just know something is about to go down, and willingly help out! That perfect stranger was ready, and when Jon went down on one knee, asking Emily to be his lady forever, photos and video were taken of that special moment! And of course - she said yes! Just wait until you see more of this gorgeous couple, and their engagement session at a few "iconic Kansas City" landmarks in my opinion....oh and that incredible ring Jon picked out all on his own! 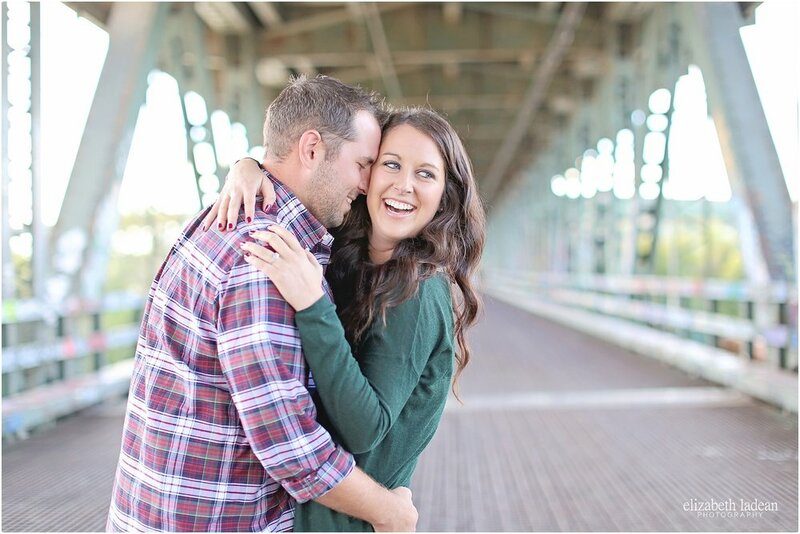 These two are simply precious, and I really can't wait for their upcoming wedding!